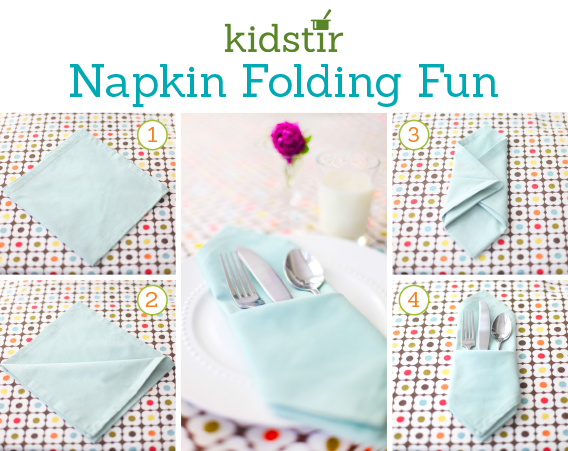 Place a folded square napkin on the diagonal. Flip the napkin over and fold in the two sides. Turn it over again and fill with silverware. Check out our handy Table Setting Guide too!